The Walking Dead rarely leaves any one thread dangling too long, but its latest return might be the series’ biggest surprise yet. Sunday’s “The Damned” brought a major blast from the past for Rick, and might just change the game going forward. You’re warned of full spoilers for The Walking Dead Season 8 from here on out, but a long-lost character from Season 1 made a dramatic return with Sunday’s latest. 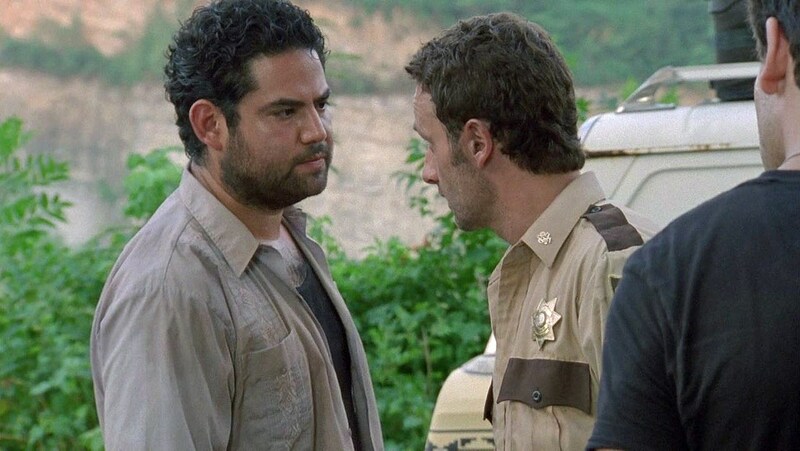 As had been teased on the internet for some time, Juan Gabriel Pareja returned in his role as “Morales,” a survivor not seen since Rick and co. first left the Atlanta campsite in Season 1’s penultimate episode, “Wildfire.” The character’s first appearance in Season 8 was brief, as a mission to retake a Savior compound ended with Rick confronted at gunpoint by Morales; both recognizing one another from years earlier. For those who understandably lost sight of the character, Morales was introduced in Season 1 as one of the Atlanta campsite residents, along with his wife Miranda, and children Eliza and Louis. He memorably declined to join Rick and the others on their trip to the CDC, instead hoping to reunite with family in Birmingham, Alabama. Judging by the absence of his family, it’s reasonable to assume something diverted him to Virginia at some point, just as Rick had. Morales and his family had long been considered one of the show’s most dangling plotlines, though few necessarily expected The Walking Dead might revisit such a minor character without any comic counterpart. Pareja himself has been joking about a return for some time, while others thought Morales might make a fitting candidate for the inevitable crossover character with Fear The Walking Dead. Might Morales have been supplying Negan with information about Rick and his group all along? We’ll see what became of Morales and his family in the coming weeks, but what other major surprises might The Walking Dead Season 8 have in store?